“The eyes of your understanding being enlightened; that ye may know what is the hope of his calling, and what the riches of the glory of his inheritance in the saints, and what is the exceeding greatness of his power to us-ward who believe, according to the working of his mighty power,” Ephesians 1:18, 19. Many of us notice that our ability to read words on a page declines over the years. In many cases, it may be the same book we have been reading for years, such as our favorite Bible. The problem is not that something has gone wrong with the book but something has gone wrong with our eyes! We need something to help us see better. My wife has recently suffered through this, and reading glasses is the thing that has helped her. When we receive the gift of salvation from Jesus Christ through repentance and faith, our spiritual eyes are opened; we are no longer spiritually blind. 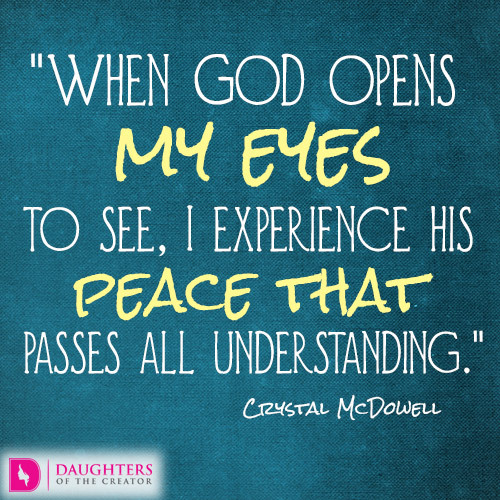 Like our physical sight, our ability to discern the things of God will change as we mature in our Christian lives. There is one big difference between our physical sight and our spiritual sight; however, God expects our ability to see the things of God to get better rather than worse as we mature in the faith. Like reading glasses for our physical sight, we also have help for our spiritual sight. To those who believe, He gives “the exceeding greatness of his power” to help us improve our vision over the years. An interesting note here is that in verse 19 the word translated “power,” is from the Greek word dunamis from which we get our word dynamite. Dynamite is powerful stuff, and it is truly a comfort to know we have that kind of power to help us grow in spiritual vision.